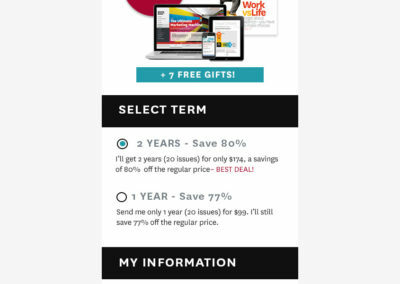 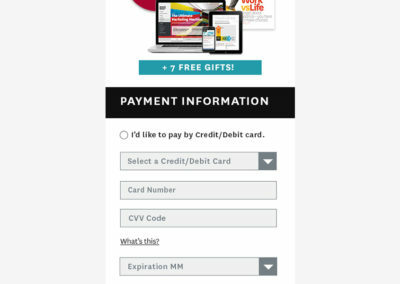 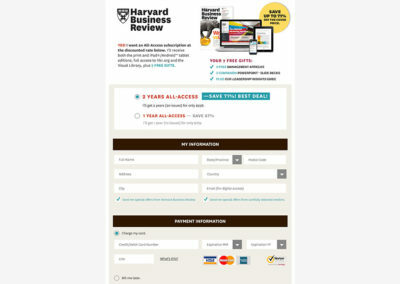 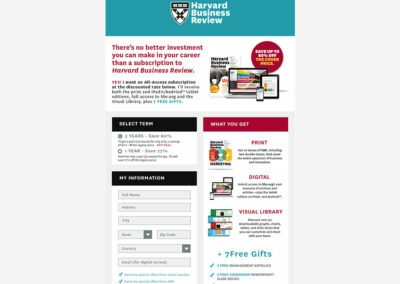 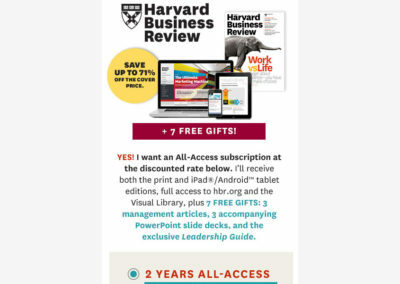 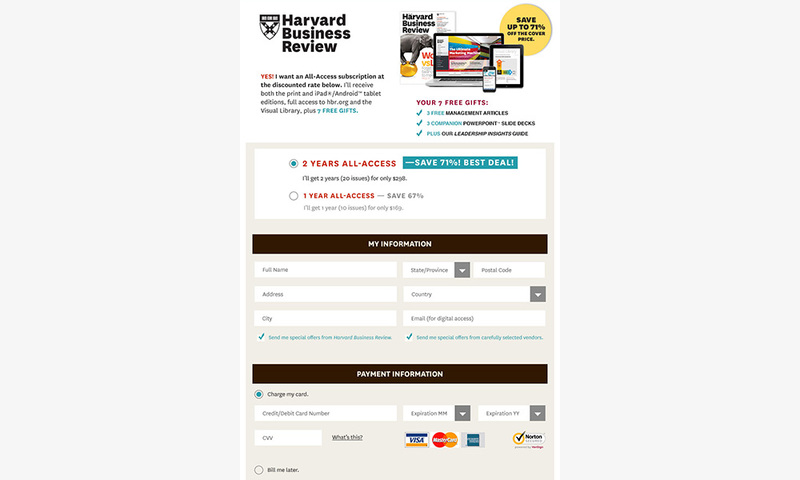 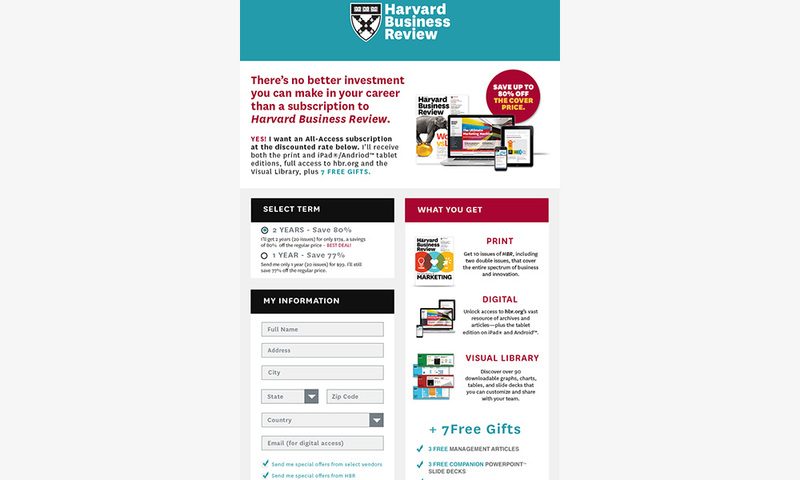 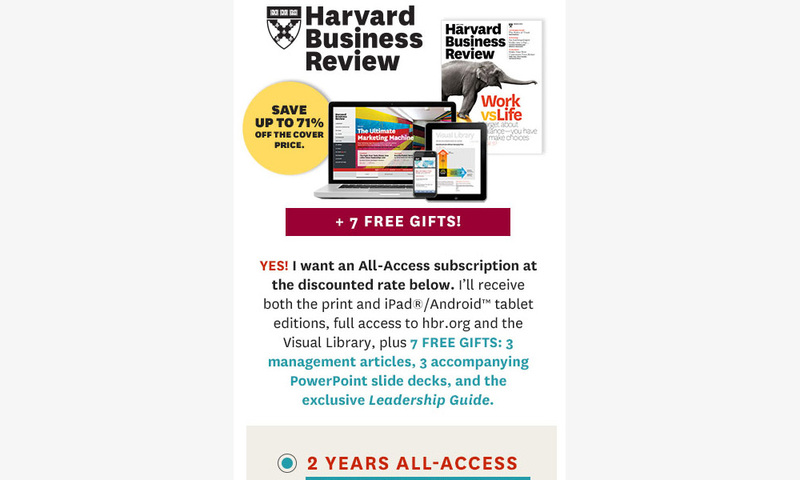 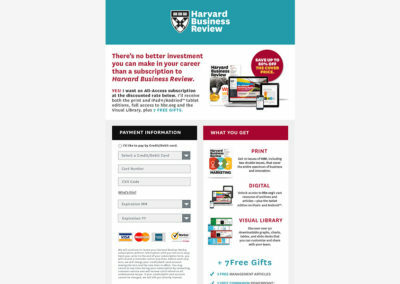 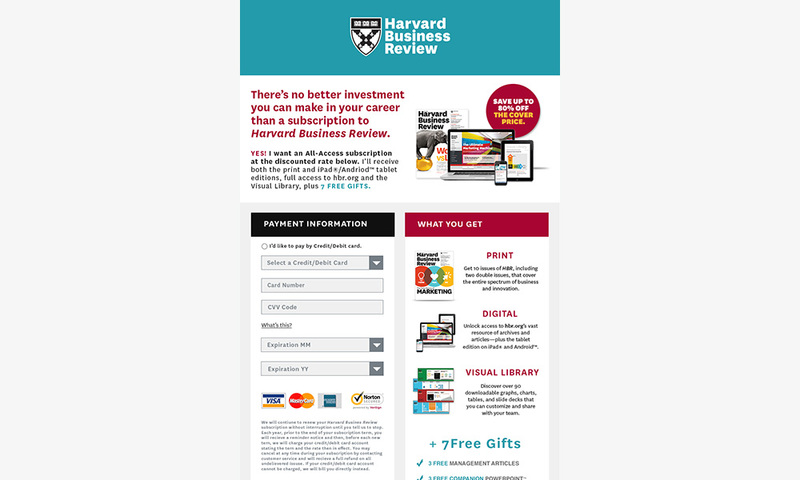 I was brought on board for a small assignment in order to code out Harvard Business Review’s responsive sign-up landing pages. 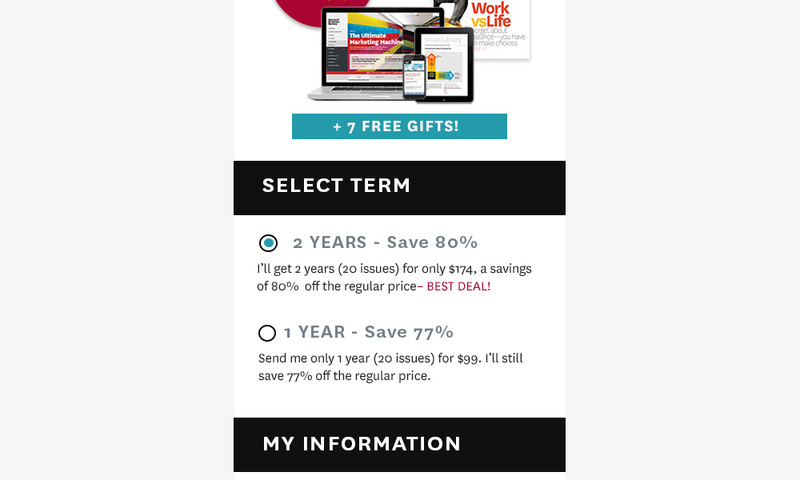 I was given PSD designs, including mobile designs, and specifications. 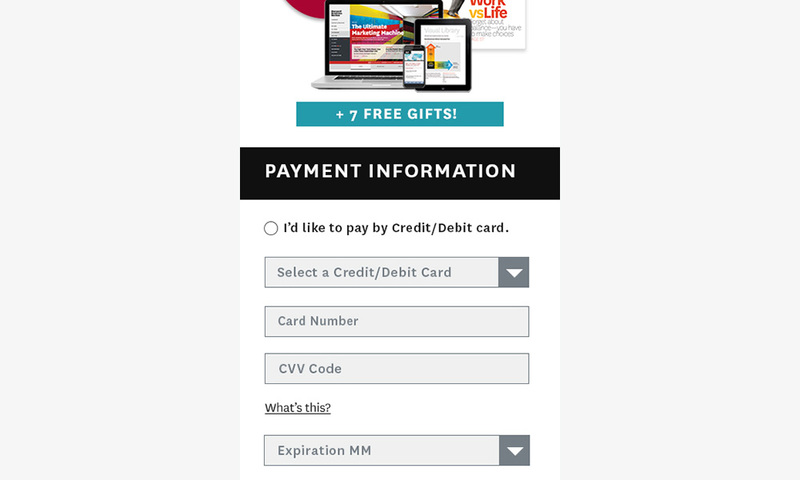 I had to create a JQuery form in order to create the transitions between form sections.